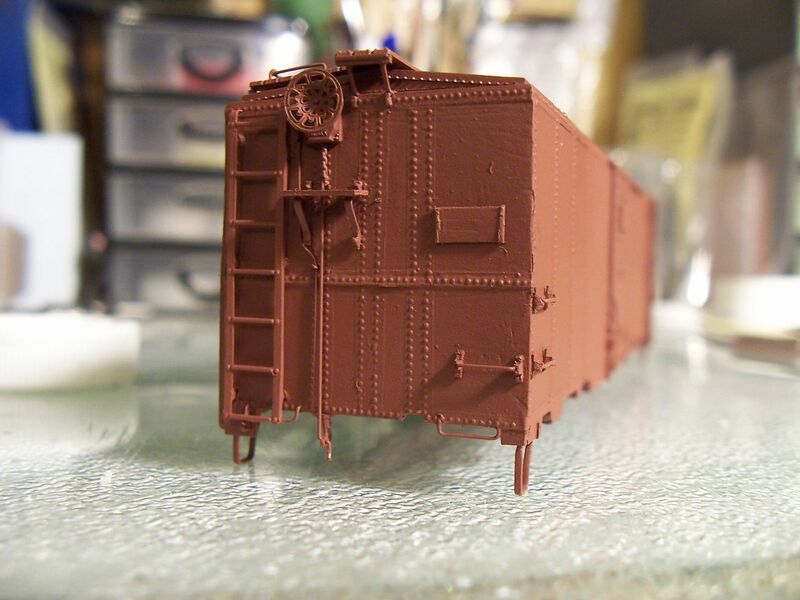 I have some Intermountain HO Scale 50' PS 5277 undecorated boxcar kits that I'm going to start building. I have read, re-read, studied, read again, held upside down the instructions and still not sure what some of the parts are or where they go. I was wondering if I could get some input from all and those seasoned kit builders. 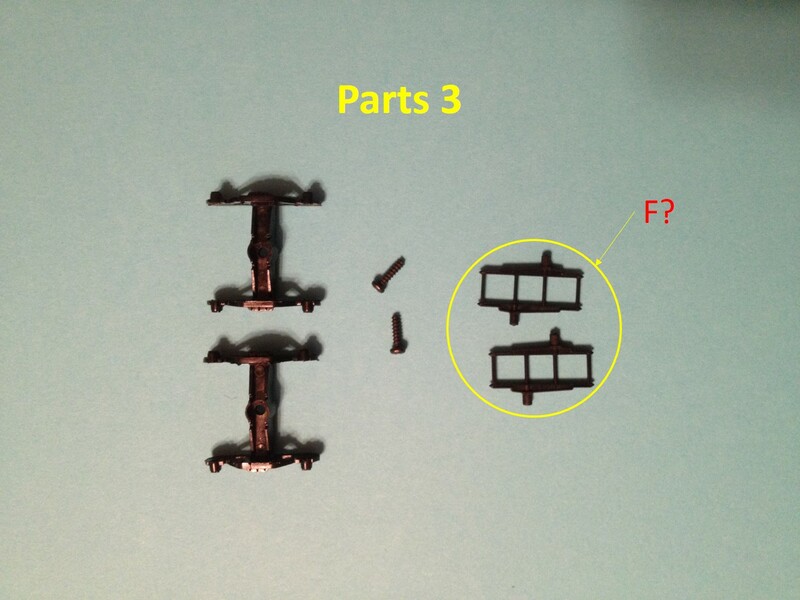 Parts 1 pic, what are parts A, B and C? 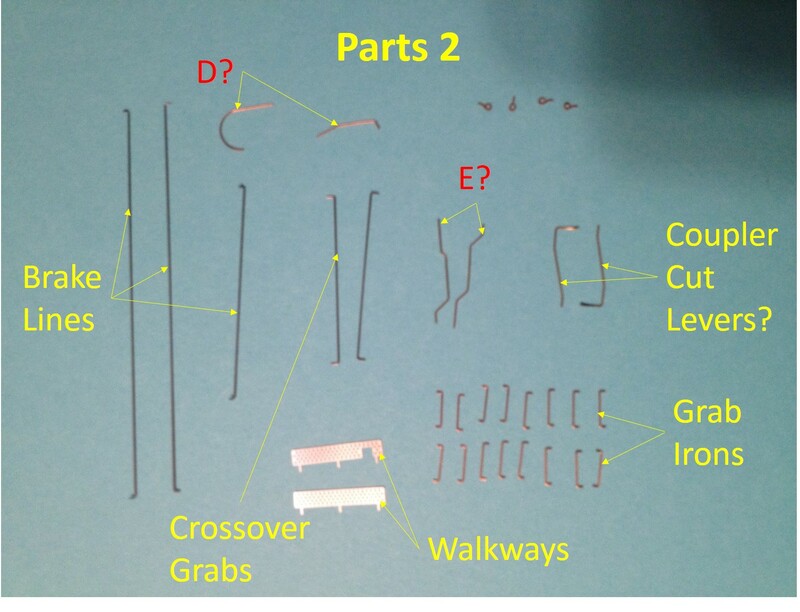 Parts 2 pic, what are parts D and E? Parts 3 pic, how many people actually use F? I know they go on the trucks, does it really do anything, provide any more stability? I believe I've properly identified most of the parts, if not, please let me know. Parts D & E: Could be the lines for in between the air reservoir, triple valve, and brake cylinder. Part F: I would never use. I only use Kadee trucks. 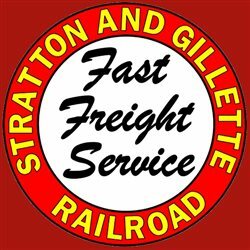 Happily modeling the STRATTON & GILLETTE RAILROAD located in a world of plausible nonsense set in August, 1954. I think he means the parts that are circled, not the trucks. The rest of the stuff, looks about the way you called it. I have a couple of those to build, guess I'll find out. Terry, here goes, if you need any further information please contact me. A: Looks like extra tack boards. B: Retaining Valve and Shield that needs to be glued to side sill near the ABD Valve. C: Linkage from the underbody brake gear to the Brake Wheel Assembly. D: One is the air line from the ABD Valve to the Brake Cylinder, the other goes to the retaining valve part B that is glued to the side sill, will have to check by fit which goes where. E: Air Lines that go from the Air Reservoir to the ABD Valve, there should be four holes in the ABD Valve, I alway clean them out with a #78 Drill before attaching the air lines. F: Truck mounted brake gear, should snap fit in the trucks, that are two small holes in each truck they snap into. Lift Tabs, what you have listed as lift tabs are roping eyes that should be attached to the side sill near the truck location. Door Handles: It is an applicance that goes on doors up near the top of the door, there should be a small hole that they are glued into. What you have listed as brake lines are actually the brake rodding that goes from the slack adjuster and levers to the end of the car. 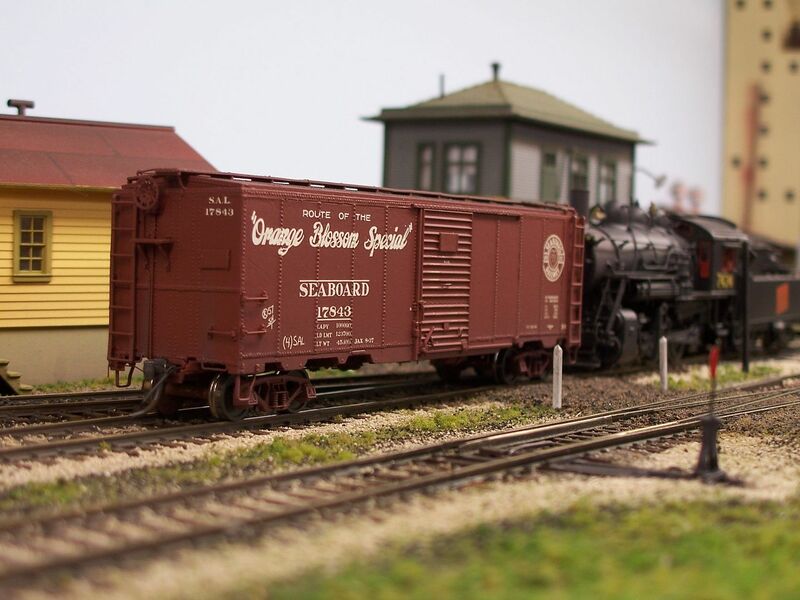 Hope this helps, also you can see most of these parts in the Weekend Photo Fun on the IMRC 5283 CF Boxcar I built. Rule 1: This is my railroad. Rule 2: I make the rules. Rule 3: Illuminating discussion of prototype history, equipment and operating practices is always welcome, but in the event of visitor-perceived anacronisms, detail descrepancies or operating errors, consult RULE 1! Kevin - Thanks for checking in and giving some feedback so quickly. Mike - I've had these kits for quite a while. Good thing I didn't try to assemble them sooner, I actually learned a lot of the parts and where they go over the past year while looking at proto photos and watching other peoples projects. I hope assembling your kits go well. 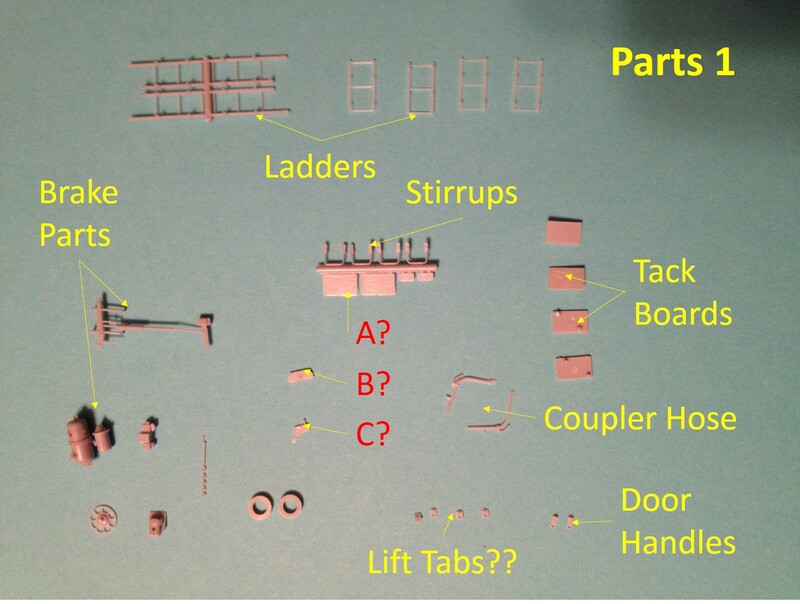 Rick - Your photo in WPF reminded me that I needed to ask about the parts. I was hoping that you would be one of the experts that chimed in. I enlarged your photos, but didn't see the curved/"U" shaped wire or where it goes, which is one of the parts that has me scratching my head. 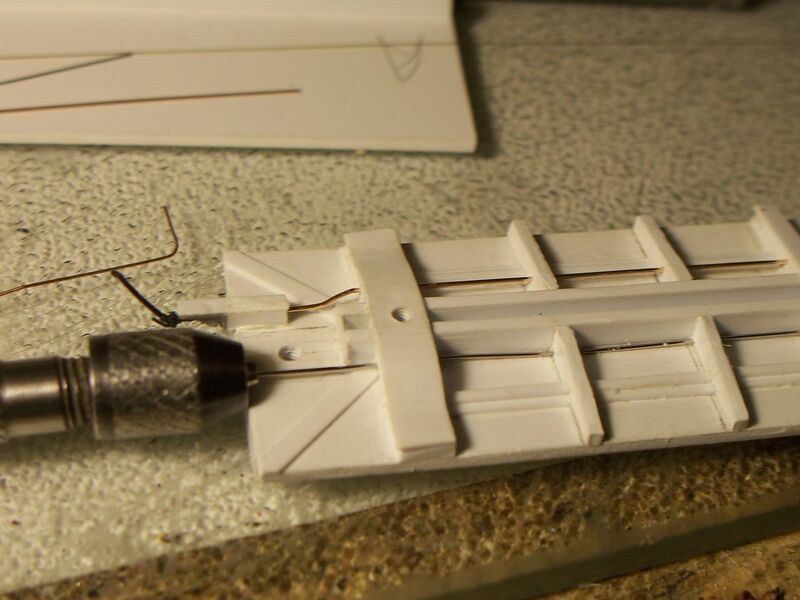 Fortunately, the proto photo that I'm using has most of the parts shown, but rarely do we get to see the underside. I have test fit most of the parts, good thing I bought micro drill bits and pin vises. I have some Intermountain 4750 kits that I hear are a little more challenging, so I might take you up on your "help". What glue/cement do you use? Figuring this out will help me with adding underbody rigging on future projects. Terry, thanks for the complement, I found out a lot by building my first kit where I had to add all the underbody parts, it happened to be one of the Moloco GATC RBL's, and doing that car was a real eye opener on how the brake rodding and air lines go together. one thing missing from some of the easier kits are all the rod quides that need to go on. Most of the air piping is pretty straight forward but the line from the ABD valve (not Triple Valve) to the brake cylinder seems to be different on every car. Here is the brake rigging on the Moloco Car. As you can seen the line from the ABD valve goes under the frame work and comes up to the brake cylinder quite a ways from one to the other. Next a Railyard Models X58, another one where the airline from the ABD Valve to the Brake Cylinder goes via a serpantine route. Last up is an Atlas 5077CF Boxcar kit, the ABD Valve and Brake Cylinder are a lot closer but still not as short as your curved line. I just noticed they did not give me that line, I will have to bend my own to fit. I have some of the IMRC 5277's at home and will look at the ones I did and post a picture of the underframe after this weekend. By the way the hardest part is trying to assemble the brake gear after you have the ends on that 4750, a lot of swear words and dropped parts when trying to use multiple sets of tweezers to get that stuff mounted. I usually use the Testor's Liquid Cement on my models, but if I need some instant setup I use CA with a kicker to set it quickly, also use CA for metal to plastic and resin to plastic/metal. Rick, I've always enjoyed looking at your under body details and rigging. I have heard from several sources about the PITA assembly regarding the 4750's. Most say it's better to assemble the details before adding the end cages. I'll definitely go slow when I get to that area. I have some Branchline kits needing some attention to. I'm more afraid of breaking the plastic pieces more than anything. I was going to use testors liquid, but wasn't sure how strong it would hold. I also have some canopy glue that seems to work. I appreciate your help and look forward to additional pictorials. It's a part that attached to the truck to represent part of the brake system mounted on the truck. If he doesn't use intermountain trucks, he obviously doesn't use that part either. Yea, Kevin would use Kadee trucks, I think the OP is using the IM trucks, just wanted to know what those parts were. By the way Chris, not to get off topic, but I was checking out your lumber loads on your site, along with other things on the ACR. A lot of great information. The first kit I ever assembled that needed brake details was an old Funaro and Camerlengo kit that had very poor instructions. I have since become much better at this, and I actually enjoy assembling brake rigging now. I have my own process of simplifying the installation, and it looks good enough from trackside view for me. .........I think the OP is using the IM trucks, just wanted to know what those parts were. Yes, I plan on using the Intermountain trucks and parts that came with the kit. Yes, his article on wrapped lumber loads provided inspiration and guidance for building mine, with my own little twist. Chris - thanks for your help identifying parts. Kevin - nice looking brake details, .010 wire? The brake rodding is 0.010" brass wire. The brake piping is 0.016" brass wire. 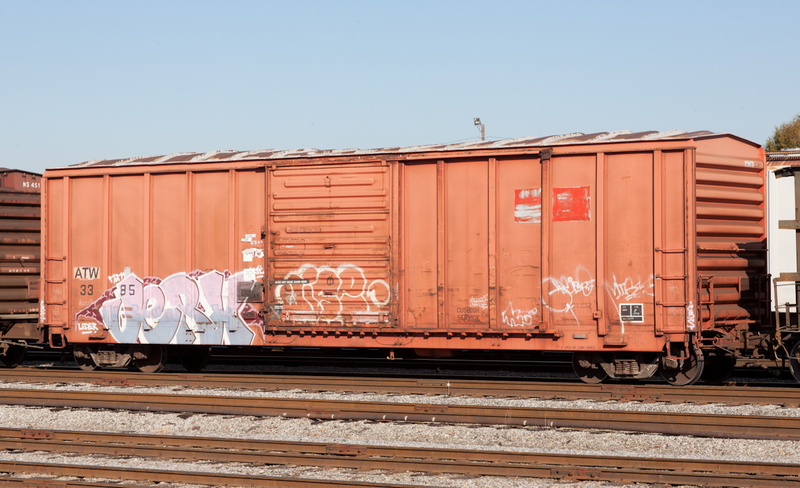 See the picture below of the IMRC 5277CF Boxcar Underframe and you can see the airlines and rodding as complete. You can see the curved line goes from the ABD valve to the retaining valve which is that part that I said had to be glued to the side sill, note how the flat plece part has to have the wings bent in a U shape to attach to the side sill. I use mostly .012 Wire for all piping and rodding and .015 or .020 for main air lines. Rick - WHOA, now we're talking! That's exactly the help I needed. That's a very neat/clean installation, looks great. Also, looks like it's best to install some of the air lines in the ABD valve or reservoir prior to installing on the underside. 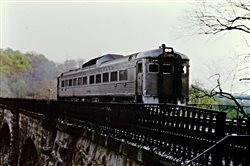 I appreciate your responses and taking the time to post images. I look forward to building my own. Well, I'd definitely drill the valve casting, the reservoir, and the brake cylinder before adding them to the underbody, but sometimes it's better to have those components in-place, where they can act as a pattern for making the necessary bends in the various piping. While I had a #76 drill bit (.020") long enough to drill through the truck-mounting bolsters from each end, naturally, when you need a similar drill bit, but one that's about 4" long, it's not to be found. Almost ready to skip the underbody portion of the retainer pipe (who'll notice it, unless I have a derailment featuring boxcar roll-overs...), it suddenly dawned on me to simply make that long drill bit. ...and did succeed in boring holes all the way to the AB valve. The installed small diameter retainer pipe is visible in the first photo, slightly hidden by the chain on the brake valve, then running alongside the centresill, and then, on the diagonal, heading towards the blob of solder near the AB valve. 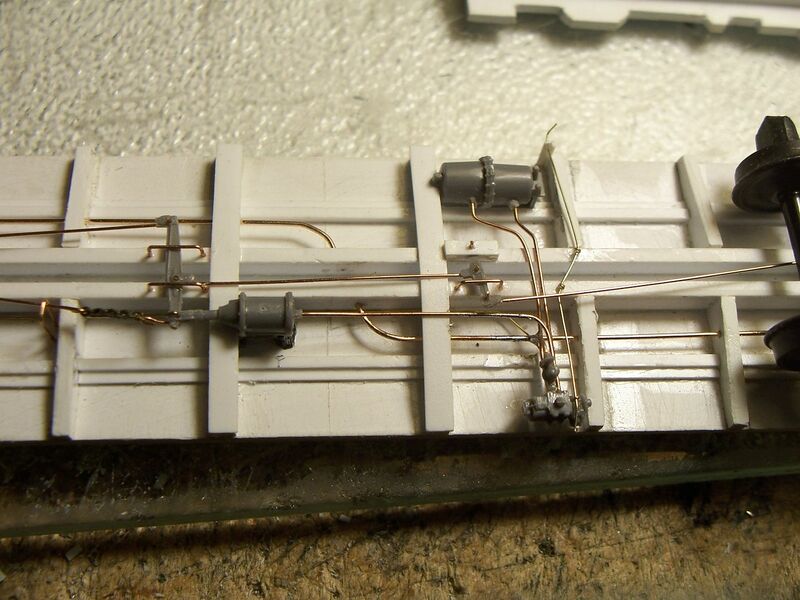 See the picture below of the IMRC 5277CF Boxcar Underframe and you can see the airlines and rodding as complete. Is the brake cylinder backwards in that picture, or is that how they look on newer brake systems? I have always mounted mine with the cone shaped half towards the brake levers, and the piping on the flatter half. You are quite correct, this one came pre-assembled out of China that I got years ago and have never painted, the person assembling had no idea how the parts went together and installed it backwards, I guess a little corrective action is required, but the rest of the piping looks correct. You guys are providing some really good feedback and images, I appreciate it. I could be wrong, but was told that the "pointed, cone end" of the brake cylinder points to the "B" end. doctorwayne - the parts come pre-drilled, but Intermountain recommends clearing them. Rick - I have another question on the 5277. Post here or PM? Might as well post here, I never know if I get PM Messages as this stupid forum software doesn't inform you if you have any messages, and I watch threads where I have posted in the past. Thank you for answering, and I am sorry if it sounded like I was nitpicking. I really was not sure. My company recently released a new product that when installed properly, looks exactly opposite of the previous product it obsoleted. We know that there are going to be a lot of mistakes made. OK, it has to do with the end ladders. No matter which way I install them, they don't fit into the holes (pegs fit in 2 holes, other 2 holes exposed. Between work, 2nd job and hockey, it might be until the weekend when I can take some pics. Maybe I'm not installing them correctly and you guys can see something I'm not. I get emails when someone sends me a pm. I was going to type The messages under manage my profile turns red, but as I was browsing for what you might need to set (email notifications) I noticed a red message that was not visible during routine browsing in the forum. I also get email notifications, but this reminded me I owe someone an answer. 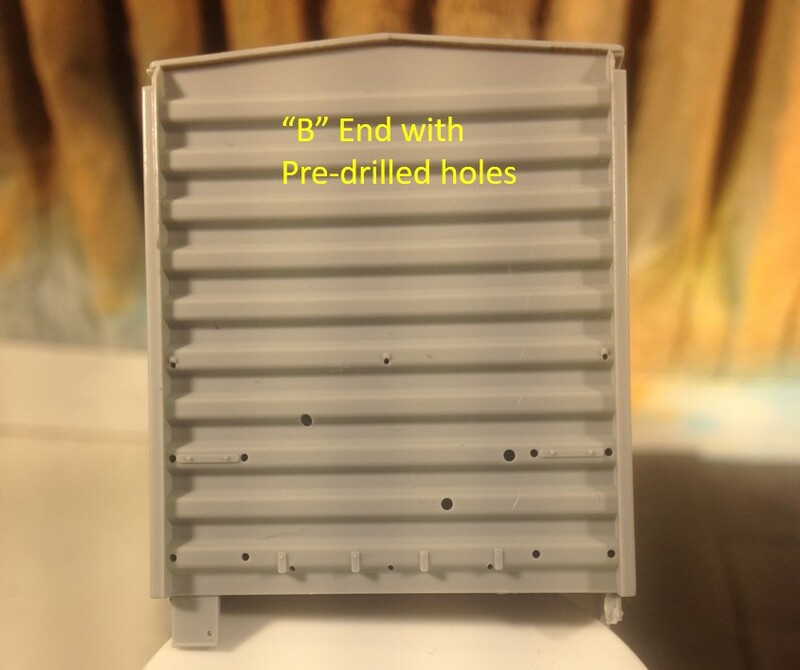 While test fitting pieces, I noticed the end ladders do not fit into the holes completely. I believe the correct installation of the ladders according to the prototype would be with the long end down (last picture, left side). As far as the exposed holes, am I missing something? Should all 4 pegs of the ladder be in the holes? Is there another way to install the ladders? 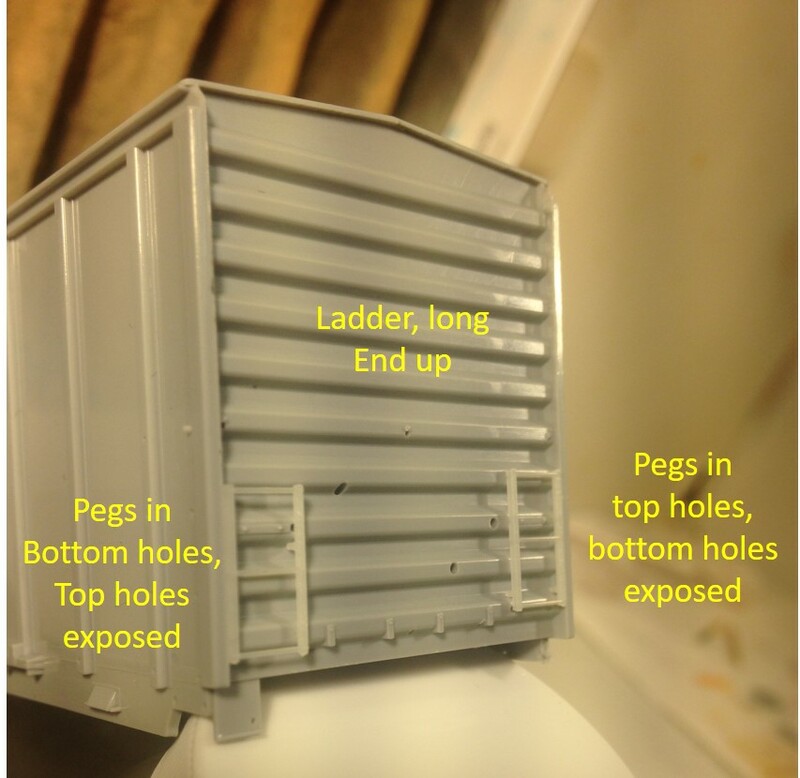 I have Tamiya putty, should I fill the exposed holes under the ladder? Use styrene rod to fill the holes? Your feedback is appreciated (no, I don't plan on trying the bulged roof). I was going to get back to you yesterday, but this POS Forum would not accept my login from my I-Phone, all I get is this giagantic error message. But to answer your question I took a picture of the A end of my car by mistake, but you can see what goes in those upper 3 holes, I noticed in your first photo that you received 4 eye bolts, one goes in the middle top row, I glue that one first then thread the long grab through the eyebolt and glue the grabs into the outer two holes. On the B end the other large hole is for the brake wheel assembly. It appears from your prototype photo that the bottom rung on the ladder is at the same level as the bottom grab iron on the adjacent side. 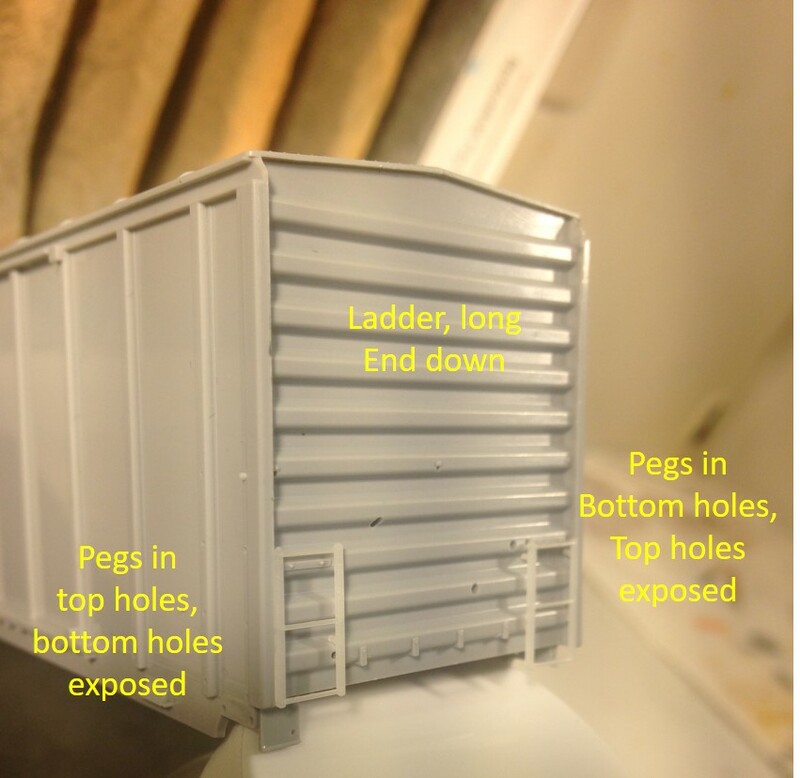 Regarding the empty holes, there is no evidence of them on DTI406's photo. So he either didn't have them or else did a heck of a good job eliminating them. Don't use putty to fill holes, its use is better-suited to filling surface imperfections. The best choice, in my opinion, is styrene rod (or strip if the hole is square or rectangular, although you could also drill it to suit a specific size of rod). I keep a full range of Evergreen rod on-hand specifically for filling holes. Select rod about .003"-.004" larger in diameter than the hole, and if you don't have the proper size available, drill-out the hole to suit what's available. Coat the end portion of the rod with solvent-type cement and use a suitably-sized brush to also coat the inside of the hole, then recoat the end of the rod again, and jam it into the hole. 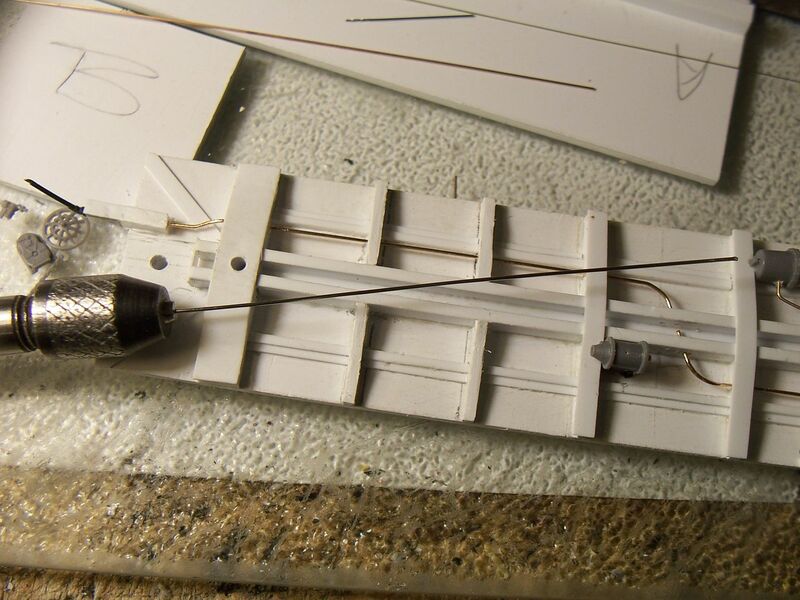 The solvent softens the plastic, and allows the rod to fit very tightly. Cut off the remainder of the rod, not too close to the plug, and let it harden - several hours, as you want it to be fully hardened so that it can be finished properly. When it's fully hardened, use a sharp blade to remove any protruding material, then sand lightly if needed. The advantage of this method is that the plastic rod has become an integral part of the plastic bodyshell, and can, if necessary, be drilled at any point in the repaired area. With body putty, attempting to drill partly in the bodyshell and partly in the putty, the drill will wander into the area of the original hole. 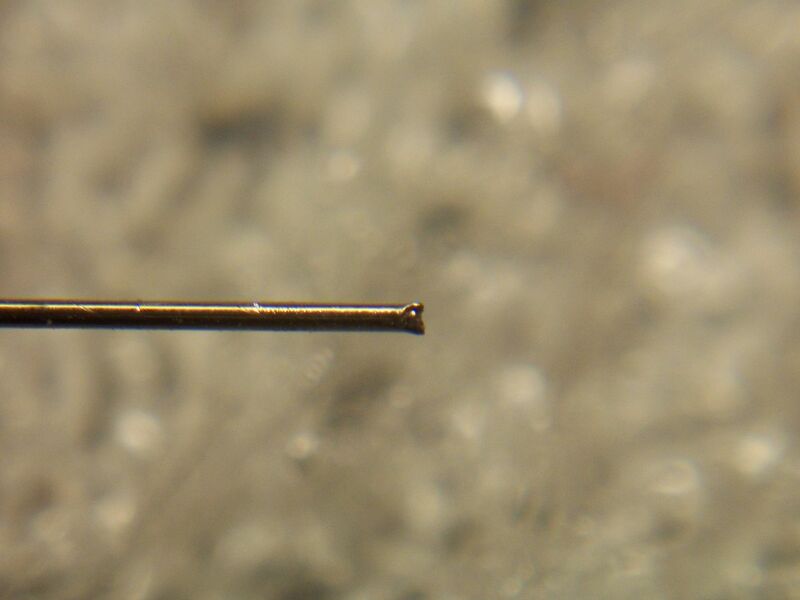 This same method is useful for mechanical connections, too, such as for truck retaining screws, which drop out because the threads in the hole have been stripped by over-tightening. Select slightly oversize rod, drilling out the hole to suit, if necessary, then, when the plastic has re-hardened, drill and tap to accept the original screw. 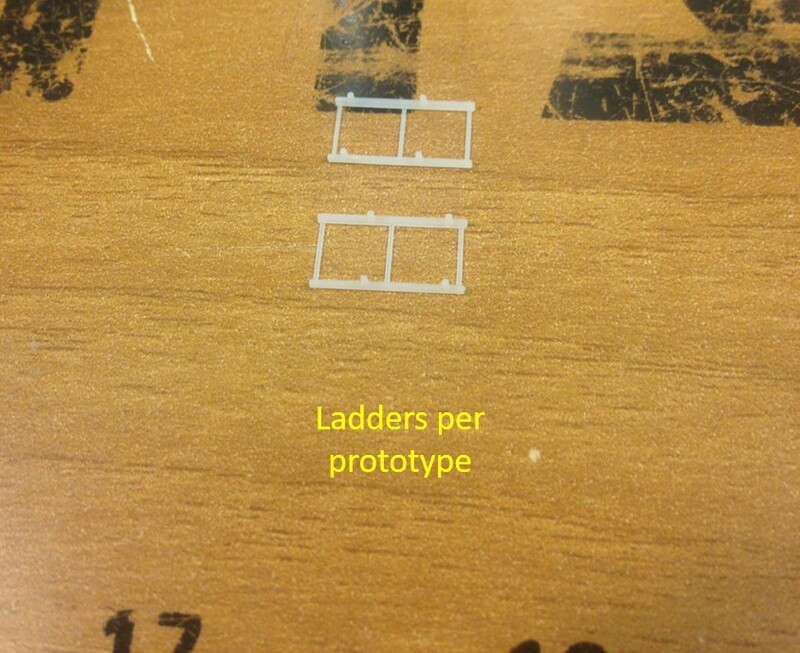 As for your ladders, you can use the pins which place the ladder in the correct position and remove the others (filling the unused holes, as described). 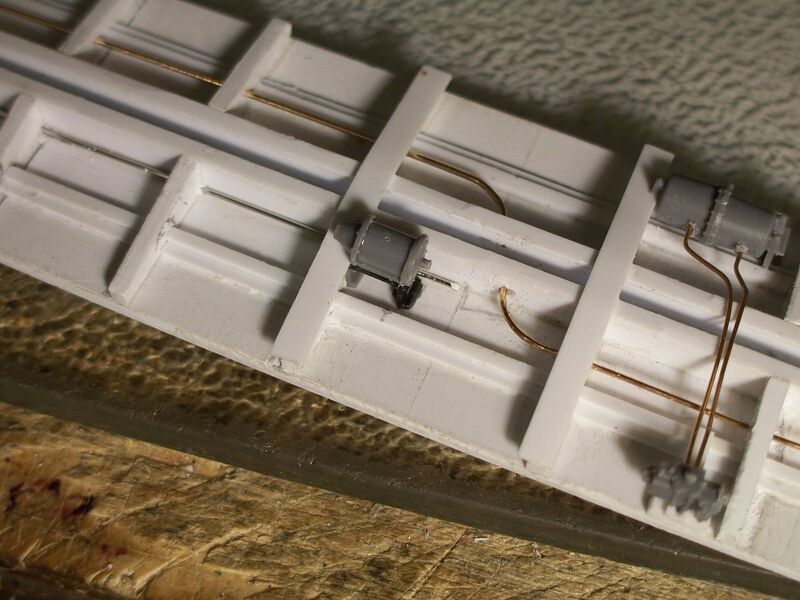 You could also remove all of the mounting pins, then use solvent-type cement (not ca) to affix the ladders directly to the car's ends, or drill the ladders for suitably-sized wire, using those holes to mark the car's ends for matching drilled holes, then "pin" the ladders in place, using ca applied from inside the car. If either Wayne or Maxman had bothered to read my post in detail, I noted that all the parts were shown in Terry's first pictures had places to be installed on the model. THERE ARE NO HOLES TO FILL WITH PUTTY OR RODS EXCEPT the parts that are meant to be intalled in the holes. If either Wayne or Maxman had bothered to read my post in detail, I noted that all the parts were shown in Terry's first pictures had places to be installed on the model. THERE ARE NO HOLES TO FILL WITH PUTTY OR RODS EXCEPT the parts that are meant to be intalled in the holes. I did read your posts in detail, Rick, but you'll note that my reply was in response to Terry's particular problem with the end ladders, as was that of Maxman. Well, I don't think I need defending, but if you had bothered to read all the posts you would have seen that a new question was asked that your detailed post did not answer. Rick - sorry to hear of your troubles with the site. Problems with this forum seem to be commonplace. At least you were able to sign on, at some point, and comment. Yes, I'm aware the upper 3 horizontal holes are for the crossover handrail/grab and one of the eyelets are for the center hole. 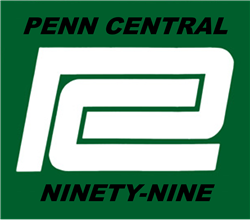 maxman - I've been looking for reference points to line things up. I also notice the top part of the end ladders is almost even with the top of the tack board. Thanks for giving me another reference point to look at. As far as the proto, I believe this was a St Mary's. I pretty sure it wasn't a Railbox, as they used different end ladders (which came with the kit). Thanks for the feedback, I'll keep test fitting until I figure it out. Production is not far off.